BURKE, Va. – Stephen Shanton, CEO and president of Venture Construction Group of Florida (VCGFL), Venture Construction Group (VCG), and VCG International (VCGI) recently earned the Pro Remodeler magazine’s exclusive Forty Under 40. 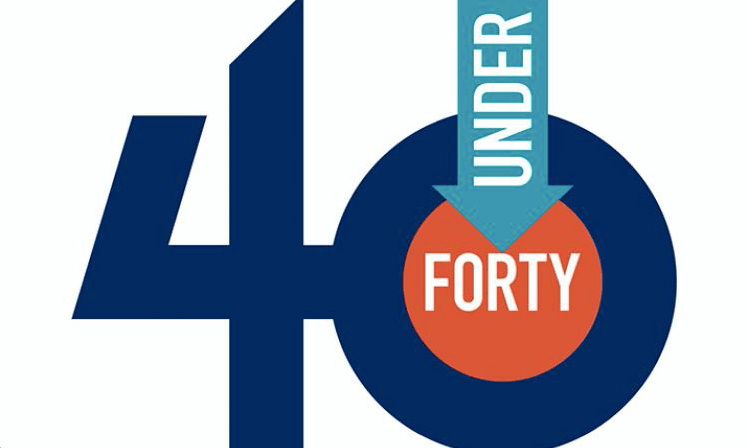 The Forty Under 40 is an annual program that recognizes 40 construction and restoration industry professionals throughout the nation. Thousands of applications are submitted along with an in-depth questionnaire and interview process. Only 40 of the top industry leaders are selected. “I am honored to have been named in the Pro Remodeler Forty Under 40. I’m proud of the solid team, relationships and reputation I have built in the last 20 years, as well as utilizing innovative techniques, maintaining the industry leading accreditations, education and certifications. We continue to stay on top of the latest trends, tools, techniques and processes to better serve our customers throughout the U.S. and the globe,” says Shanton, president and CEO of Venture Construction Group, Venture Construction Group of Florida, VCG International. Pro Remodeler magazine provides business solutions and award-winning editorial to more than 80,000 remodelers throughout the nation every month. Each year, Pro Remodeler recognizes 40 promising industry professionals who represent the industry in the Forty Under 40 awards program. According to Pro Remodeler, the 40 selected are the leaders who will overcome the labor shortage, embrace the next generation of technology, and take remodeling into an era of new professionalism and efficiency. “I’ve worked with Steve for nearly 20 years and he is a true visionary. Steve always has his finger on the pulse of changing trends and leads our staff and crews to success on every project, every time. At Venture, we believe knowledge is power, and Steve sets that bar high. We carry the industry leading accreditations, certifications, education and technology practices. We regularly attend national and global industry related events, conferences, tradeshows to consistently learn and connect with colleagues and industry experts, as well as participate and attend smaller local community events to stay in touch with our clients and support local business. Our team is committed to providing the best service to our communities, our colleagues, and our clients,” says Sandra Lawson, Operations Director, Venture Construction Group (VCG), Venture Construction Group of Florida (VCGFL), VCG International (VCGI). Venture Construction Group (VCG) is a leader in residential and commercial construction, roofing, renovations, restoration, storm damage repairs, and 24/7 emergency services. We are a full-service general contractor and assist property owners throughout Connecticut, Delaware, Illinois, Georgia, Maryland, Massachusetts, New Jersey, New York, North Carolina, Pennsylvania, Rhode Island, South Carolina, Texas, Virginia, Washington, D.C. Founded in 1998, VCG services commercial and residential properties throughout the East Coast, Greater Mid-Atlantic Region, Gulf Coast, and Midwest. Operational excellence is our mission in every project we undertake, and we pride ourselves on providing exceptional customer service. CEO Stephen Shanton is an esteemed member of the prestigious Young Entrepreneur Council (YEC). Entrepreneur Magazine hails “YEC Consists of Some of the Most Well-Respected Minds in Entrepreneurship.” Venture Construction Group is an exclusive certified National Storm Damage Center Preferred Contractor, Platinum Preferred Certified Contractor with the National Insurance Restoration Council, WindStorm Insurance Network WIND Certified Umpire®, WIND Certified Appraiser®, WIND Certified Fellow®, Certified Member of the United Association of Storm Restoration Contractors, Certified Member of Exterior Insulation and Finish Systems (EIFS) Industry Members Association (EIMA), National Association of Home Builders (NAHB), Owens Corning Platinum Preferred Contractor, Mule-Hide Legacy Contractor, Certified CertainTeed Contractor and Duro-Last Certified Contractor. VCG credentials have been vetted and screened through independent third party Global Risk Management Solutions. With offices nationwide and a solid reputation throughout the country, we respond to your needs with quality, ease, and top-notch service. For more information call 866-459-8348 or visit us online at www.VentureConstructionGroup.com. Professional Remodeler is the magazine for professional remodelers. Articles cover innovative construction techniques & the latest management ideas that will increase quality, reduce costs and shorten the time needed to successfully complete each job. Professional Remodeler serves the business information needs of 80,000-plus remodelers and home-improvement professionals around the United States. Professional Remodeler is published by SGC Horizon LLC. Learn more at www.ProRemodeler.com.